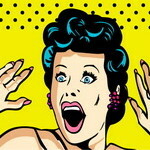 Imagine winning a lovely lump sum of money on the lottery, feeling on top of the world and then, some months later finding out that due to a technical glitch you hadn’t actually won anything at all and that your win was just a pipe dream. Sounds a nightmare, doesn’t it? Well, for a band of unlucky lottery players in the state of South Carolina, this unimaginable dream did actually come true when it was discovered that an error meant that cash prizes some lotto gamers appeared to have won fair and square were revealed to be wrong. Read on to find out about the unhappy holiday for South Carolina Lottery players after a game glitch. It’s probably many lottery player’s dream to win a big cash prize, and especially at one of the most special times of year – Christmas. For a huge group of people in South Carolina, that’s exactly what happened, and it’s left many people living in the state absolutely furious. For a couple of hours on 25th December 2017, the lottery systems there issued a batch of what looked to be winning tickets to a host of players. Shortly afterward though, the South Carolina Education Lottery (who were running the draw) suspended the game in it’s entirely and admitted that the computer system responsible for handling and monitoring the draw (Intralot) had made a massive error. It meant that people who thought they’d won significant amounts of money, only actually ended up with a $1 payout (roughly the cost of the ticket). What’s even more galling is that those lucky players who jumped on the win straight away and cashed their tickets got their massive pay-outs, which each totaled $1.7 million. 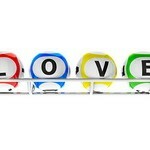 The people who hung onto theirs were the unlucky recipients of the $1 prize. The game was a seasonal holiday special that the South Carolina Education Lottery had called Holiday Cash Add-a-Play. The tickets for this draw could not be bought alone. They could be added only after players purchased a ticket from another one of the state lottery games on offer such as Pick 4 or the Palmetto Cash 5. Holiday Cash Add-a-Play worked in pretty much the same way as tick-tack-toe does. Players view a grid that has nine boxes on it, each of those contained a Christmas (or winter) related image on it. A single grid cost $1. If a player got three Christmas trees in a row in any direction, horizontally, vertically or diagonally a cash prize was won, up to $500 for each grid. For those two hours on Christmas Day, many people playing the game were incredibly surprised to find all of their grids filled entirely with the aforementioned Christmas trees. The issues began at approximately 5:51 p.m. on Christmas Day. People visiting gas stations and convenience stores across South Carolina were dispensed a steady stream of what appeared to be winning tickets. There were a few canny players who realized something odd was happening and tried to buy as many tickets as they could. Nicole Coggins aged 36, of Liberty, was one of them. Speaking to the press afterward, she said: “We figured we’d buy a reliable vehicle and take the kids to Disneyland,” She added that she and a few other family members kept playing the game until they amassed what they thought were thousands of dollars in winnings. Which, given the circumstances, seems fairly reasonable. However, when it came to the crunch, Coggins was not able to cash in. Just two hours later South Carolina state suspended the game, and in a statement that came some forty-eight hours later, the South Carolina Education Lottery said its computer system vendor, Intralot, had experienced a programming error. Coggins was not pleased and stated her disbelief. “It’s not fair. It’s not right,” she said. She noted that some people who bought winning tickets were able to cash them in immediately and keep the money. 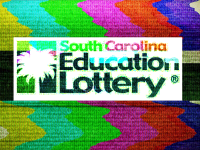 The South Carolina Education Lottery confirmed that it was a programming error from Intralot that had caused the massive glitch, but all they could offer for those people who had lost out was the reimbursement of their ticket price. 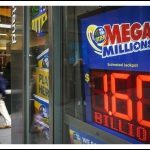 In an article for the New York Times, if the lottery operator had to pay out the correct monies to everyone who had missed out, the payout would be in excess of $35 million. However, lottery laws and regulations state that if the ticket was produced in error, as had happened here, that they are not responsible for paying out any money to any player who might have missed out on a win. The South Carolina Education Lottery is now quoted as saying: “Regrettably, these errors by the former vendor led loyal players to mistakenly believe that they held winning tickets. While SCEL is mindful of the magnitude of this decision on its players, any other decision would not comply with the law,” This statement appeared on their website shortly after, but at the time of writing, is currently offline. Since the glitch occurred the South Carolina Education Lottery has decided to switch computer vendors, in an effort to prevent any further glitches from happening. However, they’re very keen to point out that as Intralot’s contract with them was due to expire, this would have been happening anyway and the process has perhaps just been hastened slightly. The company has now reportedly also asked Intralot to repay any money that was incorrectly paid out to players and there are now two lawsuits issued that are targeting both the lottery and it’s ex-vendor. Unfortunately, some players decided to keep hold of their tickets for months. However, last Wednesday, the lottery said in a statement that the error had indeed stemmed from a mistake in the vendor’s coding and that all that was now able to be reimbursed was the ticket price. No-one else would receive any winnings. The state lottery also commented that alongside the glitch, Intralot had failed to conduct regular and adequate quality-assurance testing that would have stopped the error from occurring. Again Mr. Madden commented that “Intralot was required to do certain things, and because they failed to do those things, the lottery will be asking for that money back,” Mr. Madden also added that the new lottery vendor to replace Intralot was International Game Technology. A representative for Intralot said the company supported the decision not to give any winnings to players, but that they were still evaluating the findings of the investigation. Two lawsuits, in Richland and Sumter Counties, have already been filed against the state lottery and Intralot on behalf of people who bought tickets but were left highly disappointed by the outcome of the decision from the lottery company. Lottery proceeds help pay for educational programs and scholarships in South Carolina, and the State Legislature has appropriated more than $5 billion since the lottery began in 2002. It’s clear that this is a terrible case for everyone involved and one which is sure to divide people’s opinions over the coming months. There is a case to be argued for players who have played a game in good faith and believed they have won to be given the money that to all intents and purposes is rightly theirs. However, the problems arise when some perhaps cannier players realize there is a glitch and try to take advantage of it for their own gain. Is it then fair that they stand to claim a lot of money when they perhaps guessed what was going on? It’s clearly not a black and white case at all. Whatever your views are it’ll be interesting to see how the story unfolds over the coming months and whether the newly raised lawsuits have any effect at all on the initial outcome of the case. Watch this space to see what happens next!